Read the feature article in the New York Times. Over the course of a mere twenty years preceding the outbreak of the Civil War, a handful of master craftsmen transformed the European guitar into a new instrument. The guitar they invented during this remarkably short period of time had all of the design and construction features—except size—that would define the iconic American flat-top guitar played by millions around the world today. 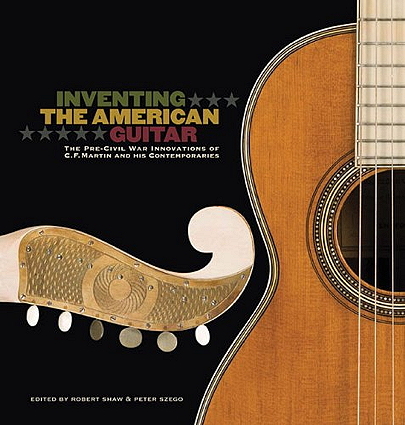 Inventing the American Guitar is the first book to describe this remarkable transformation in detail and tell the story of the evolution of early American guitar design. The figure who dominates this history is C. F. Martin Sr., America’s first major guitar maker and the founder of C. F. Martin & Co., which continues to produce outstanding flat-top guitars today. Martin emigrated to New York from his native Germany in 1833, where he began crafting elegant guitars based on the model of his Viennese mentor, Johann Georg Stauffer. But within a few years, Martin and his contemporaries came under the influence of Spanish guitarists, who were all the rage in concert halls of the time, and started to bring Spanish elements into their own designs. Ultimately, Martin designed a revolutionary method of bracing the soundboard of his guitars that set the stage for the emergence of a distinctly American guitar. The team of scholars that collaborated on Inventing the American Guitar has unearthed substantial new information about Martin, his relationships with fellow luthiers and business associates, his instruments, and his technical advances. The book also puts Martin’s achievement in context by including chapters on Johann Stauffer and the Viennese guitar; guitar making and the instrument trade in Martin’s homeland; early nineteenth-century Spanish guitars and guitarists; and Connecticut-based inventor and guitar maker James Ashborn, who was Martin’s main competitor in the 1840s and ’50s. Inventing the American Guitar is filled with spectacular photographs of dozens of early instruments by Martin, Ashborn, Stauffer, Henry Schatz, and other early builders, many of them presented full page; and there also are glorious two-page profiles of forty-five special guitars from private and museum collections around the country, including the Martin Guitar Museum and the Metropolitan Museum of Art. In addition, the book includes detailed fold-out working drawings of two very different early Martin guitars, both of them created especially for this book by luthier supplier Stewart-MacDonald, as well as diagrams of bracing and other structural elements of all the profiled guitars. 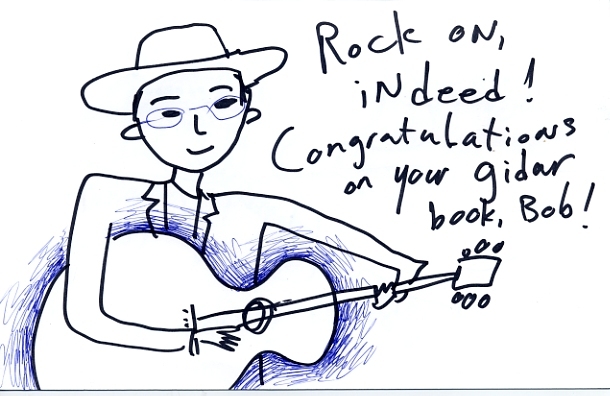 Peter Szego, who headed the team that created the book, is a connoisseur, collector, and player of early nineteenth-century American banjos and guitars. 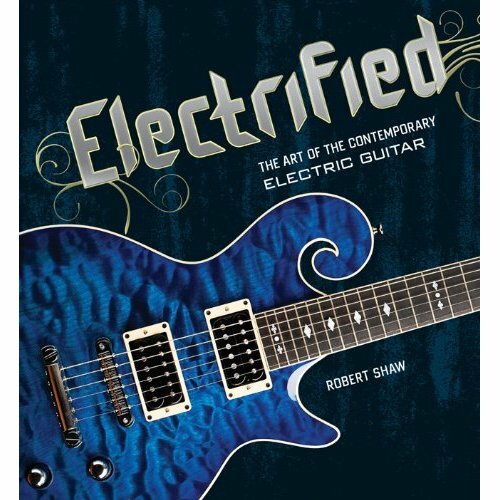 The book was edited by curator and guitar historian Robert Shaw, author of Electrified: The Art of the Contemporary Electric Guitar and Hand Made, Hand Played: The Art and Craft of Contemporary Guitars. Contributing essayists include David Gansz, an expert on early American guitar maker James Ashborn; Antiques Roadshow appraiser and Martin expert Richard Johnston; luthier and early Martin and Spanish guitar scholar David LaPlante; Arian Sheets, Curator of Stringed Instruments at the National Music Museum, University of South Dakota; and James Westbrook, a scholar of nineteenth-century European guitar making. —Christian F. Martin IV, CEO, C. F. Martin & Co.
Electrified: The Art of the Contemporary Electric Guitar offers a visually stunning selection of guitars by the finest builders at work today, showcasing instruments by 125 master artisans and custom shops from fifteen different countries. More than 250 spectacular color photographs, many of them full page, of killer guitars by luthiers who have custom-built instruments for the likes of George Benson, Eric Clapton, Billy F. Gibbons, Kirk Hammett, Steve Miller, Keith Richards, and Stevie Ray Vaughn. All but a handful of the guitars in the book have been built within the last few years, so it offers a spectacular overview of the current scene. A must for every guitarist, this is a substantial (11 1/4 x 10 3/8 inches, 272 pp.) hardcover with a dust jacket. We are living in a golden age of guitarmaking, and this gorgeous new book offers a definitive look at the work of the most skilled artisans at work today. From reproductions of Renaissance and Baroque-era instruments to the wildest looking and most technically advanced electric guitars on the planet, this book covers it all. More than 300 color photos of guitars of every kind imaginable—classical guitars, flattops, archtops, harp guitars, Hawaiian lap guitars, Dobros and metal bodied resonators, acoustic and electric basses, hollow and solid bodied electrics, and more. A must have for every guitarist you know and for anyone interested in contemporary instrument building and hand craftsmanship. Soft cover with folding flaps. 11 x 8.5 x 1.3 inches, 416 pages, more than 300 color images! "Wow! A really unique book that takes a breathtaking tour of more than 300 of today's most creative, imaginative, and gorgeous hand-made guitars -- all illustrated in vibrant full color photos with specs for each guitar and personal statements and anecdotes from the luthiers who made them. The past 25 years have seen an explosion of craftspeople who build guitars by hand, employing an attention to detail, higher quality materials and more technical skill than in any previous era. This book showcases an incredible variety of guitars made by these luthiers, from elegant parlor guitars and innovative classicals to wildly shaped electrics and guitars with seven, ten, twelve or more strings. It's a feast for the eye, mind and soul of anyone who loves guitars." 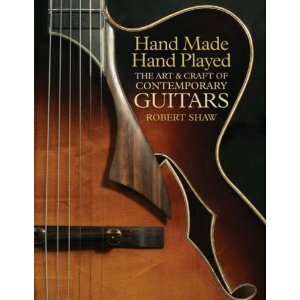 "Music making aside, readers of this large book could be convinced that the guitar primarily exists as an art form. It is a lavishly illustrated book for the guitar connoisseur and will be treasured as such. Over 300 one-offs made by some of what the author terms the ‘explosion of craftspeople who build guitars by hand’ over the past 25 years are presented. This is not a how-to-make-a-guitar book. There are mostly one page ‘profiles’ of an instrument, its specs and its maker. The specs list the woods and materials used, the dimensions and suggested retail price. The shapes, use of timber, inlays, scrolling and detail work on these acoustic and electric instruments is astounding." "Five stars! A beautiful book that honors the guitars and the luthiers. The first thing you notice is the elegant, artistic layout and spectacular photographs. Then you start to read a little here and there, soon finding that there is great research and writing to support the guitars. Although it is the sort of book that you usually flip through and read casually, I was so fascinated by the history and the philosophies of the guitar makers, I started reading every page from the beginning! It gives you a taste and makes you want to visit the shops and talk to the luthiers. 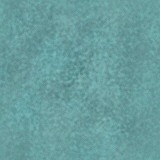 I started fantasizing a road trip going from shop to shop, talking, playing, wishing I could buy... This is not a simple coffee table picture book - it is a beautiful celebration of guitars and their makers."